Long waits for a table are one of consumers biggest pet peeves about eating out and newly introduced NoWait app is seeking to offer a solution. Unlke similar structured reservation apps, NoWait allows consumers the ability to get on a restaurant's wait list without being there in person. According to research undertaken by the Euromonitor firm, Asian cuisine has become one of the most popular cuisines around the world and Arizona is one of the states leading the nation in developing a major Asian food presence. The state has welcomed in a number of new Asian and Asian-style restaurants just this year and the Chinese Restaurant Association of Arizona has claimed that among the 8,000 restaurants in Arizona, over 1,000 of them are Asian. Mexican chain Someburros, which operates six locations in the Tempe area, has recently undergone a total rebranding of their concept to bring their image up-to-date. 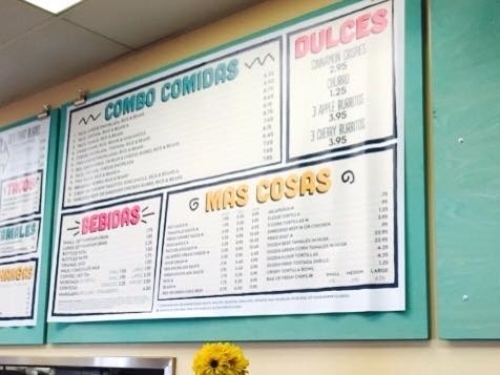 In a process that took over eight months of researching consumer habits, Someburros introduced a number of new changes to their chains involving new interior and exterior design, logos, menus, and to-go packaging. Someburros president Tim Vasquez claims that these changes were meant not just to bring the chain closer in line with their competitors but also to improve the overall guest experience, working to satisfy current customers along with attracting new ones. Vasquez hopes that these changes will allow Someburros to remain relevant in an ever-evolving market. Arizona’s brewers have made major headway with a proposed bill that will allow them to continue operating their onsite restaurants and bars while exceeding the previously allowed amount of production. Under the current law, any brewery that produces more than 40,000 barrels of beer a year is not allowed to maintain a restaurant, forcing many breweries to limit brewery expansion. If passed, this new bill will allow microbreweries to produce as much as 200,000 barrels of beer annually, in multiple locations. The Arizona Craft Brewers Guild is behind the amendment, which passed unanimously through the Senate committee. Supporters hope the bill will pass with a full vote from the Senate shortly.